This low-price environment has been unfavorable for most royalty owners, as low oil prices generally lead to proportionately low royalty payments. It has also lead to a slow-down in additional drilling and development activity as many oil and gas companies slashed budgets for 2015 and 2016. Drilling contractors have stored hundreds of rigs, and oil and gas companies have drastically reduced their workforces. A strong indicator of this slow-down can be found in the Texas Railroad Commission drilling statistics, showing 964 permits issued last month in Texas, compared with 2,440 in August of 2014. Many shale boom leases contain express provisions providing for partial termination as to certain acreage, depths, or both, upon cessation of continuous development activity during the secondary term. Because these shale boom leases were obtained over a relatively short timeframe between 2009 and 2013, most have or will shift into their secondary terms throughout 2014-2016. With budget cuts and slowed development activity, some lessees may struggle to maintain their continuous development obligations. So what does this have to do with potential trends in landowner-lessee litigation? It could provide the foundation for a domino effect of lease litigation, such as disputes involving termination and royalty payment disputes. Over the last year, the industry has seen numerous lawsuits alleging improper deduction of post-production costs, and several cases involving partial termination clauses. 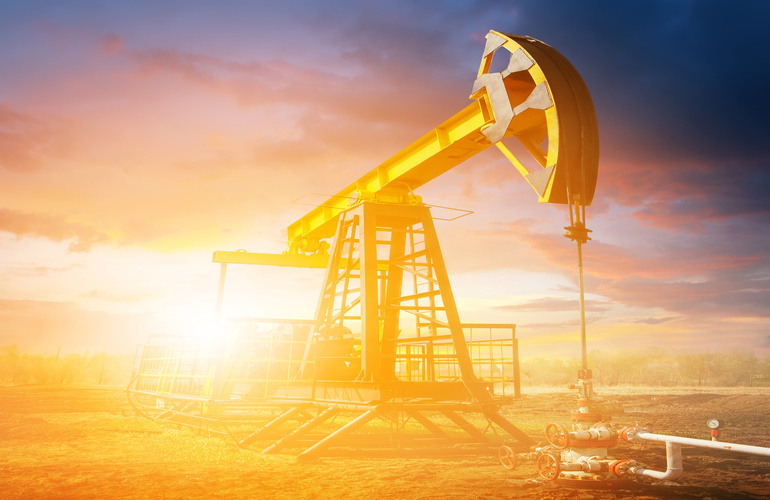 These suits were filed before the oil slump, but they reflect a category of litigation which may be aggravated by current commodity prices and the associated slow-down in production. To understand the impact the oil slump has had on lessor-lessee relations, it is important to consider the perspective of a vast number of lessors involved in the shale boom. From about 2009 through 2013, in what has been referred to as the “land grab phase,” the industry experienced a highly competitive race to acquire massive lease positions. The beginning phases of any business relationship are sometimes called a “honeymoon” period. During that phase, the parties’ objectives and interests are more or less aligned and they often envision their relationship as mutually beneficial. The honeymoon phase of many shale boom lessors and lessees particularly flourished alongside high commodity prices. During the land grab, lessees were eager to obtain leases in areas like the Eagle Ford and the Bakken. In these areas, leasing competition was exceptionally high and many lessors have large acreage positions. As a result, many shale boom lessors negotiated from a position of strength, demanding the inclusion of complicated clauses. Sometimes these clauses were taken from other leases, from online message boards, or even free-hand drafted by the parties over the lowered tailgate of a pickup truck. 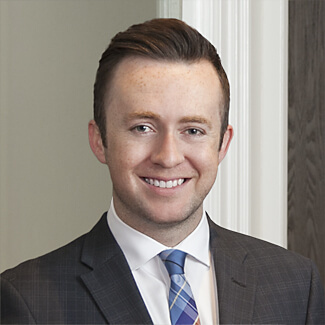 Unfortunately, some of these leases leave questions unanswered, do not clearly articulate how various clauses work together, or contain insertions that are difficult to harmonize with the remainder of the lease. As the Texas Supreme Court recently said, “lease drafters are not always driven by logic.”  Chesapeake Exploration, L.L.C. v. Hyder, 14-0302, 2015 WL 3653446, at *3 (Tex. June 12, 2015). If the shale boom honeymoon period ever existed, it may not survive the current environment, resting on a foundation of dropping oil prices, shrinking royalty payments, expiring primary terms, and slowing development programs. Sluggish drilling activity and slumping oil prices are placing additional strain on relationships. Some lessors are beginning to take a second look at their lessor-lessee relationships and some are more closely scrutinizing their lease provisions and the lessee’s compliance with royalty obligations and lease perpetuation requirements. As some cash-strapped lessees are seeking to conduct the minimum allowable operations sufficient to satisfy their continuous development obligations in their leases, disputes are likely to arise concerning whether the continuous development requirements have been met. The results can be harsh for lessees, as cessation of continuous development is often paired with automatic partial lease termination provisions, such as the retained acreage clause. Retained acreage clauses are not “one-size-fits-all.” Retained acreage clauses are sometimes described as requiring the release of unproductive acreage. However, a proper understanding of the consequences requires a careful reading of the provision and the remainder of the lease. A lessee may actually be required to release portions of productive acreage, or may be entitled to retain acreage that is not within a traditional production unit. This was illustrated in a recent case, ConocoPhillips Co. v. Vaquillas Unproven Minerals, Ltd., 04-15-00066-CV, (Tex. App.—San Antonio Aug. 5, 2015, no. pet. h.), where the court addressed whether two similar retained acreage clauses allowed ConocoPhillips to retain 40 acres per gas well or 640 acres per gas well. The court affirmed the trial court’s order that the clause required the release of all acreage in excess of 40 acres for each producing and shut-in natural gas well capable of producing in paying quantities. Under that specific retained acreage clause, following the conclusion of a continuous development program, the lessee was permitted to retain a default of 640 acres per gas well, unless field rules are adopted “provid[ing] for a spacing or proration establishing different units of acreage per well.” ConocoPhillips completed its drilling program June 2012 after drilling over 200 gas wells. While the applicable field rule only described a spacing requirement, the Court noted that Rule 38 of the statewide rules applies to “special” spacing and describes 40 acre units for gas fields. Therefore, the court concluded the 40 acre units are controlling under that specific retained acreage clause. As a result, ConocoPhillips was ordered to release an additional 15,351 acres. These cases further illustrate that lease termination issues require a careful reading of all provisions of a lease. As the court in the XOG case warned, industry custom is often of no consequence. Just as shale boom leases vary widely, so does the construction of these important provisions. Other recent disputes involve royalty payment obligations relating to whether the lessee has wrongfully deducted post-production costs from royalty payments. In the landmark case, Heritage Resources, Inc. v. NationsBank, 939 S.W.2d 118 (Tex. 1996), the Texas Supreme Court held that, where a gas sale occurs downstream of the wellhead, a “market value at the well” royalty clause can be determined by the “net-back” approach, which takes a given downstream price and backs out the necessary, reasonable costs back to the wellhead. The Heritage court then held that a provision barring post-production cost deductions in that lease was “surplusage as a matter of law” because it merely restates that post-production costs are downstream of the wellhead and therefore cannot be attributable to a royalty calculated at the wellhead. In another post-production cost case, the Texas Supreme Court earlier this month granted review of the holding in McDaniel Partners, Ltd. v. Apache Deepwater, LLC, 441 S.W.3d 530, 534 (Tex. App.—El Paso 2014). The McDaniel Court interpreted language from a 1953 assignment where the grantor reserved a “production payment interest … of the entire interest in the production from said lands to which [a]ssignor claims to be entitled … which may be produced from the above described land.” Apache later acquired the Assignment, but it only obtained a portion of the original interest since two of the four leases had expired. The McDaniel Court held that, absent express contractual language or otherwise, this production payment cannot be proportionately reduced following the expiration of some but not all of the burdened leases. While most of the cases discussed above were filed prior to the current drop in oil prices, they are illustrative of the types of litigation that has occurred. As oil prices remain low, development budgets are cut, and drilling activity remains slow, similar disputes are likely to be on the rise. 1. ↑ Chesapeake Exploration, L.L.C. v. Hyder, 14-0302, 2015 WL 3653446, at *3 (Tex. June 12, 2015). 2. ↑ See, e.g., Potts v. Chesapeake Exploration, L.L.C., 760 F.3d 470, 474 (5th Cir. 2014) (allowing deduction of post-production costs) and Warren v. Chesapeake Exploration, L.L.C., 759 F.3d 413 (5th Cir. 2014) (prohibiting deduction of post-production costs). 3. ↑ Plaintiff’s Original Complaint, Meek Family Living Trust v. Chesapeake, Cause No. 3:12-cv-00792-B in the U.S. District Court for the Northern District of Texas; Plaintiff’s Original Petition, Karmali Holdings, v. Chesapeake, Cause No. 067-277696-15 in the District Court of Tarrant County, Texas; Plaintiff’s Original Petition, Union Pacific Railroad Company, v. Chesapeake, Cause No. C201400226 in the District Court of Johnson County, Texas.